This seems like a straightforward enough question and, if you enter it into an Internet search engine, you will get a long list of websites in your search results - the ones that search engine companies deem will give you the answer to your question. On one level (if you just want a list of facts) the websites served up will answer the question, but - on another much more important level - they won't. I started getting interested in Thailand in the early 80's but for various reasons my first trip to the country didn't happen until 1987. After that I returned for vacations and continued to travel elsewhere around the globe. However, my trips to Thailand were always special compared to other countries and Thailand started to have a hold on me. This is the effect that Thailand has on many visitors. During the 1990's the world started to change dramatically as the effects of technology and globalisation began having a real effect on people's lives. For me, personally, these changes were not positive. At all. In addition, my personal life outside of work was far from satisfactory following a long string of unsatisfactory relationshipships and never being able to get into a relationship with someone who I really wanted to get into a relationship with. Breaking point came during the year of the new millennium, which also happened to be the year that I turned 40. Even though they are simply nominal dates on a calendar, our 30th, 40th, 50th, etc birthdays tend take on increased significance in our lives and invite retrospection. With all the hyperbole of the new millennium and with both my working and personal lives being at an all-time low, I knew that my life needed to change. The change needed to be radical and not simply a case of finding a different job in the UK or the same job in another Western country. I needed to escape from the life that had developed around me and - in my analysis several years after these events took place - the word 'escape' is a key word when looking for an answer to the question, "What is Thailand?" Since moving to Thailand I have met many expats, read many on-line accounts by Thai expats and - through this website - I get to see what people are looking for when they seek information about Thailand. There is a common theme. The theme is needing to escape from life in general or from certain aspects of life that eventually become intolerable. In Billy Joel's song 'My Life', the subject of the song 'Couldn't go on the American way' and bought a plane ticket to escape to the West Coast. In all countries there is a 'way (of life)' that is acceptable to society and this governs how most people in a country lead their lives. For most people this seems to be tolerable, although I think that Henry David Thoreau's analysis was far more accurate, "The mass of men lead lives of quiet desperation." I'm sure that many people do actually find their lives unsatisfactory, but they don't have the confidence/ability/opportunity to change anything. Therefore, they simply continue living their lives in quiet desperation resigned to the notion that change is impossible. From my own experience, Americans who can't go on the American way escape to Hawaii first because it's an easy move. It's a different experience to mainland USA, but technically it is the same country and so there are no immigration hassles. Getting away from the mainland helps, but sooner or later the old problems come back and, when they do, the next escape is to somewhere like Thailand. Until I lived in southern Thailand I had no idea how many Malaysians and Singaporeans escape to Thailand for regular short breaks. Singapore is seen from the outside as being a very developed, advanced, clean, orderly and enjoyable place to live in. However, it is a small island with limited places to visit, it is prohibitively expensive for many ordinary people, it is authoritarian, and the very materialistic (Five C's) culture is focused on money above everything else. Malaysia has a large ethnic-Chinese population, but many activities that Chinese enjoy are at odds with living in a fairly strict Muslim society. Both Singaporeans and ethnic-Chinese Malaysians seem to need to escape fairly regularly and Thailand - being the country it is, and being located nearby - makes an ideal place to escape to. There is nothing wrong with anything I have mentioned so far. All of us, at different times of our lives, need to escape from the routine of our normal lives. If you only need a temporary escape I can think of no country better to escape to than Thailand. If you want a three day break from Singapore or a three week holiday from Europe or North America, Thailand makes a for a fantastic vacation destination and I recommend it highly. On the other hand, if you are considering Thailand for a more permanent escape it is a completely different matter. I cannot overstress this. Visiting Thailand for a vacation and living permanently in Thailand are two very different things. 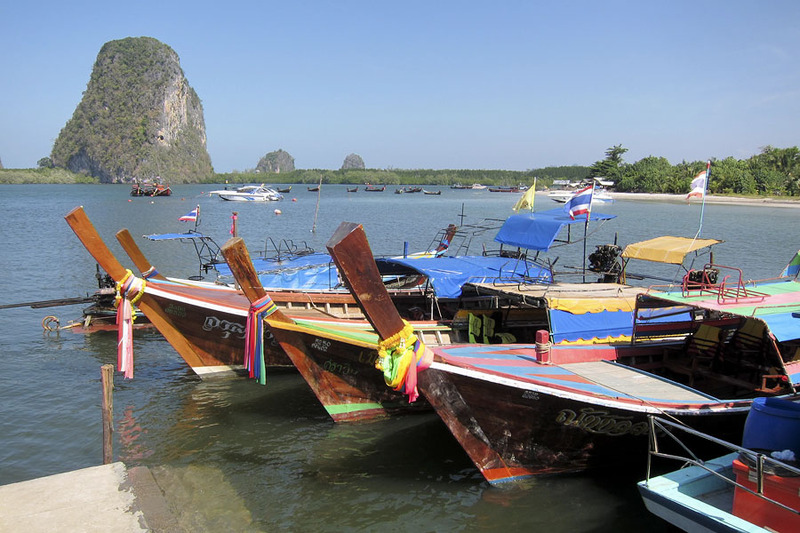 The addictive nature of Thailand may tempt many people who have visited Thailand to go to live permanently in Thailand, but this is a move that should never be taken lightly. As a permanent expat you will need to get involved in matters that tourists never get involved with. Thai cultural behaviour, which may seem charming (if a little quirky) as a tourist, will impact you far more when you live in Thailand and will increasingly frustrate you. I started this site far too soon, at a time when I didn't have the necessary knowledge or experience to write knowledgeably about Thailand. I have made various attempts to update the information here, but what has been required for many years is a complete rewrite. This is what I am now attempting to do. To promote Thailand as a vacation destination. Despite being a long-term expat who is familiar with most of the negative aspects of living in Thailand (and believe me, there are far more than any tourist would ever imagine), I still maintain that it is one of the best vacation destinations on the planet. Downhill skiers and snowboarders will find little that appeals to them in Thailand, but apart from cold weather activities the country has something to offer most people. In recent years there has been huge amounts of deforestation, massive amounts of development, a huge growth in the indigenous population and a massive influx of foreigners (both expats and tourists), but you can still find beautiful islands and beaches, verdant forests, lush rice fields with mountainous backdrops, and fascinating urban environments. The process of Westernising Thailand keeps accelerating at a crazy pace, but it is still very different to Western countries and to most foreign tourists it will seem exotic and fascinating. As a tourist I could never get enough of Thailand and even now I still enjoy living in Thailand, even though my level of familiarity with my local surroundings probably matches that of the locals. 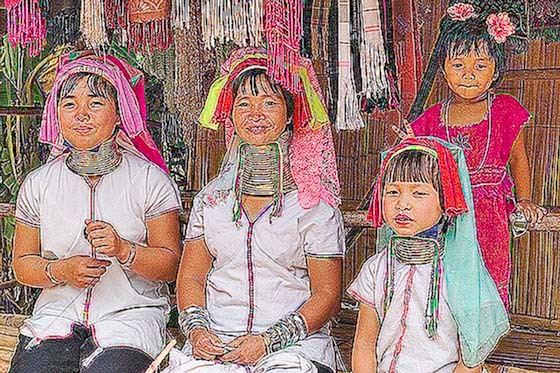 Most Thais are genuinely friendly (apart from when they are driving), most can speak a little English, and the Thais are generally an attractive race. It is no secret why Thailand remains a very popular destination with single males. As a tourist I visited many of the well-known tourist resorts and since I started living in Thailand I have been to a number of places where few tourists go. Perhaps I can introduce you to some of the unseen locations in Thailand? To provide real information about living in Thailand for people who are considering making a permanent move to Thailand - the kind of information that I was never given and had to find out for myself over many years. As I mentioned above, I moved to Thailand initially only to escape the unsatisfactory life I was living in the UK. I also stated above that Thailand is probably unbeatable as a vacation destination. My early days of expat life in Thailand were almost euphoric. It was just like being on vacation in Thailand, which was always something special, but I didn't have to go home. As I stayed longer in Thailand I started seeing the country differently and I started encountering issues that I had never encountered before. I got involved with local girls, I worked as a teacher, I got married, I had children, I bought a car, I bought a house, I bought my wife a car, I started to deal with the Thai education system as a parent instead of a teacher, as a house owner I started to deal with Thai tradesmen a lot. Etc etc. With each new experience I got to see another aspect of Thailand that I hadn't seen previously. There are so many aspects related to living in Thailand that you don't have anything to do with as a tourist and there are aspects of living in Thailand that you don't even think of as a new expat. I've now been through most of them and can give you some things to think about. Some matters are difficult to deal with, but most hurdles can be overcome. It irritates me when I see websites about retiring to Thailand to live a life of complete freedom and hedonism for US$400 a month ... and if you buy my 'Retiring In Thailand Guide' for $9.99 I can show you how. The amount of money required to live in Thailand is highly subjective, but Thailand is no longer a cheap country. If you want to have a reasonably comfortable standard of living, if you want to enjoy some comforts from home, if you get involved romantically with a local, if you want a reasonable standard of health care, and especially if you have children and want them to have the same plus a decent level of education, you had better be looking at a LOT more than US$400. To try to explain some of the finer points of Thai cultural behaviour. This is something that frustrated me enormously for years after I moved to Thailand. Thais would behave in a way that simply didn't make any sense to me. Rather than just accept the way things were, I made a big effort over many years to understand why. I talked to locals, talked to expats, read information on-line (whenever I could find anything worth reading) and read a lot of books. See Thailand | Bibliography. While working as a teacher at a university hospital for about four years I had access to the university libraries and read many English language books about Thai culture and cultural behaviour. I also used my own observations to try to figure out what was going on. All societies have a belief system and a value system that dictates how they think and behave. The Thai belief and value systems are VERY different to those of Western societies. They are also very powerful. One problem for foreigners moving to Thailand is that on the surface Thailand looks very similar to the countries where they come from. Nowadays, Thais wear Western clothes, drive the same cars as in Western countries, have the same love affair with Smartphones, shop in Western-style supermarkets, eat fast food at McDonalds and KFC. But just below the surface, the way Thais think and behave is very different because of their beliefs and values. These beliefs and values are inculcated from birth by parents and teachers and Thais aren't encouraged to think for themselves. Their behaviour is so natural to them that it doesn't warrant being explained and it can take foreigners a long time to understand Thai cultural behaviour. What Thailand Are You Interested In? Depending on how long you plan to escape to Thailand, you will need to have knowledge of different subjects. Being a tourist in Thailand is very easy. You will only see Thailand superficially, thus you won't learn much about the country, but you will avoid the difficulties and frustrations that come with living in Thailand permanently. This stage of not knowing anything about Thailand is actually quite blissful so make the most of it. Many expats, after living in Thailand for a long time, become quite cynical. They leave their own countries because life didn't work out there and move to Thailand. After living in Thailand for several years they then develop a strong dislike for Thailand as well. The result is people who sound bitter and twisted about absolutely everything. You need only to browse through the Thaivisa.com forums for a while to see examples of this. The knowledge you will gain about Thailand as an expat, in my experience, is a double edged sword. Familiarity with the language and way of life makes living in Thailand a lot easier but, at the same time, the magical feeling that I used to get just being in Thailand disappeared many years ago. There is also a very dark side to Thailand that is invisible to tourists, but it begins to show itself after several years living in the country. If you focus on this kind of stuff for too long it can get quite depressing and it can make living in Thailand difficult to enjoy. You just have to focus on the positive aspects and accept that there are certain things that are beyond your power to change. Because of the enormous differences between visiting Thailand as a tourist and living in Thailand permanently I have attempted to divide the content on this site so that you can get the information you need quickly without wading through irrelevant content. Let me make it clear that living in Thailand isn't a bad thing. I have a good life and without needing to work I support my family on an income that would be considered very small in the UK. I can jump in my car and within a couple of hours arrive at beach destinations that would be prohibitively expensive for many people living in Western countries to travel to. Then again, tourists don't have to go through all the bureaucracy it takes to get visas to live in Thailand and I doubt that many tourists have to deal with Thai tradesmen with regard to getting a leaky roof repaired. When you live in Thailand there is so much more to consider and my aim was to highlight some of the differences. Even if some of my views sound negative, my intention certainly isn't to be negative. I enjoy Thailand and my life is a lot better in Thailand. I just try to be honest and balanced. There are a lot of foreigners living in Thailand and there is a lot of content on the Internet about living in Thailand. Most foreigners living in Thailand tend to have very strong opinions, which is why I never look at Thai expat forums on-line. Ten minutes reading through comments on Thaivisa.com is enough to make me feel depressed all day. On one side there is a huge amount of negativity, but there are also fairy tale websites that paint completely the opposite view and make Thailand out to be some kind of paradise, which it isn't. If you are simply planning to visit Thailand for a vacation you have nothing to be concerned about. Just have a good time. On the other hand, if - after your vacation in Thailand - you seriously start thinking about living in Thailand you need to know a lot more and you need to be aware that living in Thailand is a completely different experience. All of us can have anything, but we can't have everything. You need to understand what you can have in Thailand and what you can't. Once you know, you can weigh up one against the other and then decide whether Thailand is right for you. It will suit some people, but not others. If you wish to compare prices between different on-line travel agents (OTAs) for a specific hotel, you can use a company such as HotelsCombined.